The aim of study was to assess, based on FDI criteria, a group of esthetic posterior direct restorations and to establish the proper refurbishment or repair methods. 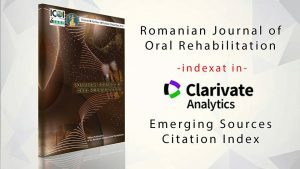 Materials and method 59 composite resins posterior restorations, from 15 patients, were assessed based on FDI criteria. Data were statistically analyzed using Microsoft Excel 2007. 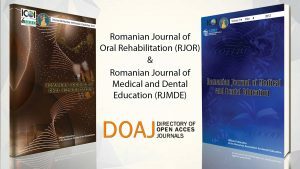 Results The study found a high percent of the assessed direct restorations with good and excellent esthetic, functional and biological FDI criteria. For the restorations with satisfactory FDI criteria it was indicated minimal invasive repair technique, and for the restorations with poor FDI criteria it was indicated replacement. Conclusions The clinical assessment criteria help dentists to decide the use of minimal invasive repair interventions, thus prolonging the functional, anatomical, esthetic durability of aesthetic posterior direct restorations.